During that time I have set my attention on being authentic and honest in all of my posts. Next week on September 25th I am embarking on a new venture into the speaking and presentation field. It has always been a desire of mine to speak and interact with audiences and after 271 days of writing my thoughts in this blog and on Facebook and Linkeden, I’m beginning this new journey. 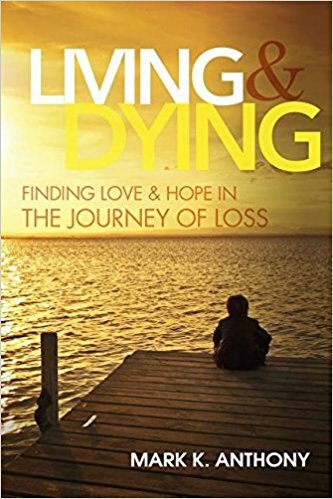 While my writing will continue, I look forward to speaking and marketing my new book “Living and Dying” I’m looking forward to an authors workshop and book signing at Barnes and Nobel, Pittsford Plaza store soon. This months event will take place on September 25, from 4-6pm. I will be presenting a talk on “Finding Love and Hope on Life’s Journey”. We will be meeting in our funeral home at 2305 Monroe Avenue. If anyone is interested, or if you know someone who might be, contact me at mark@anthonychapels.com If you miss this opportunity, my intention is to do talks periodically through the year. Sorry I cannot attend. I will be at a show. Good luck with the talk! I will miss your blog. It was one way of staying in touch….